This psychology of colors is a subject that is talked about a lot. Much has been discussed on how the color of your walls impact your mood. 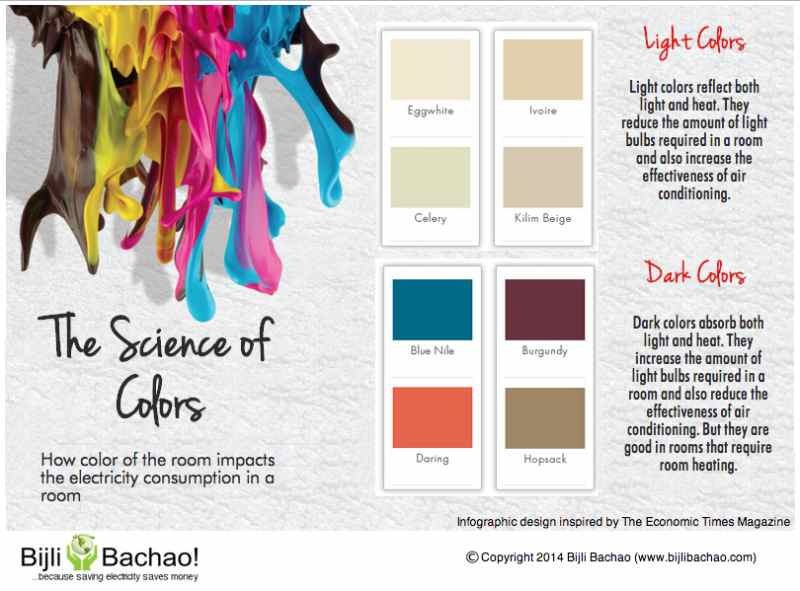 But with the infographic below we want to introduce a new dimension to your decision of selecting colors for the walls in your house. In the past we had discussed about how interior decoration impact electricity consumption, we also highlighted that color of the walls impact electricity consumption of air conditioners. This infographic is a summary of the details that we had highlighted in the posts earlier.